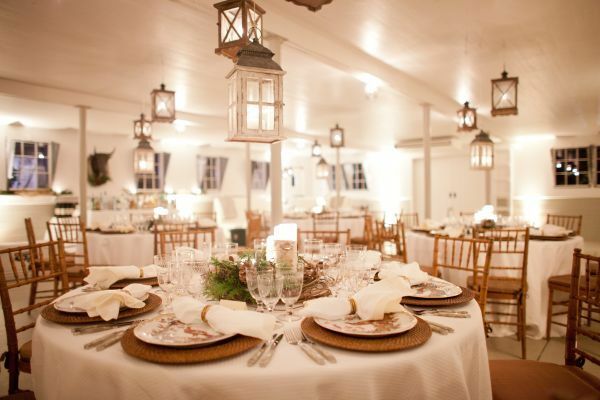 Set A Romantic Tone With Reception Lighting!! Flowers, favors, sashes, napkins, china….the obvious choices that brides head straight to once they start planning their weddings. However, what most people overlook is the power of lighting! We have seen it all from uplighting (which I wish as popular when I got married) to candles to lanterns in the past few years but THIS is amazing! 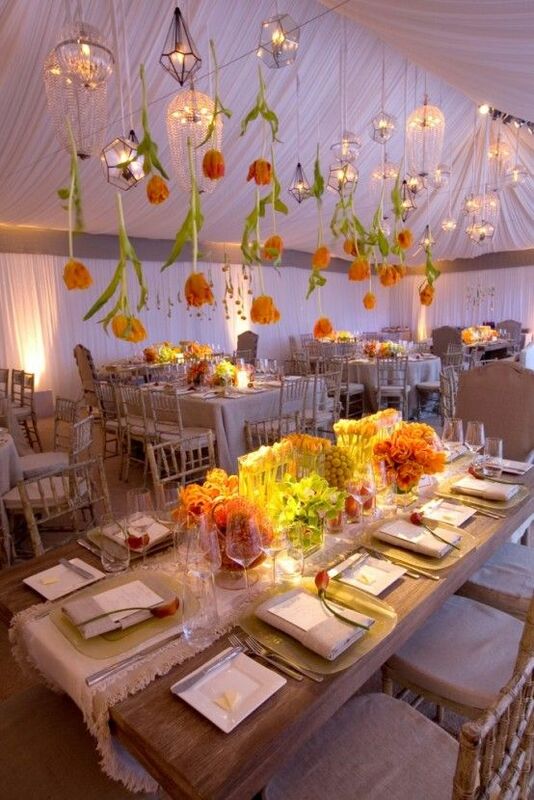 Hanging lights over reception tables is so beautiful and making a huge appearance in the wedding scene. 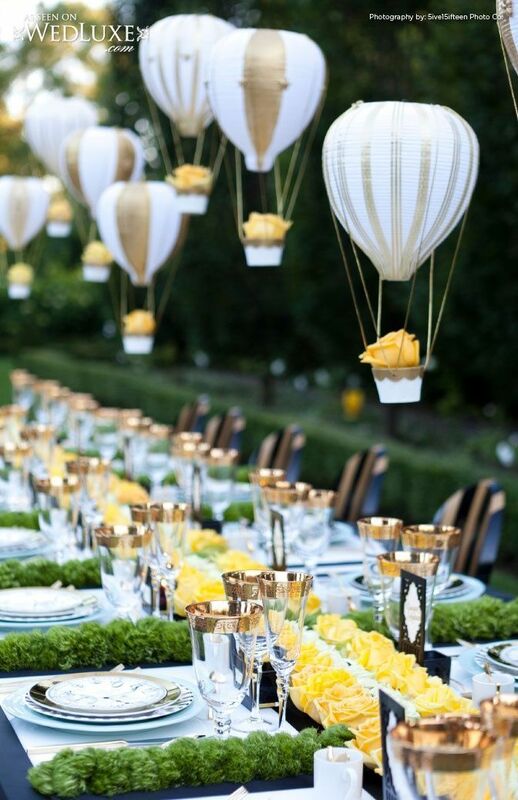 This is such and elegant yet eclectic way to add a different twist to your wedding while keeping that romantic feel! Pinterest and Wedding Gawker are such great tools for brides that are planning their wedding. However, often the trouble with these helpful sites is how you can actually make that vision come to life. 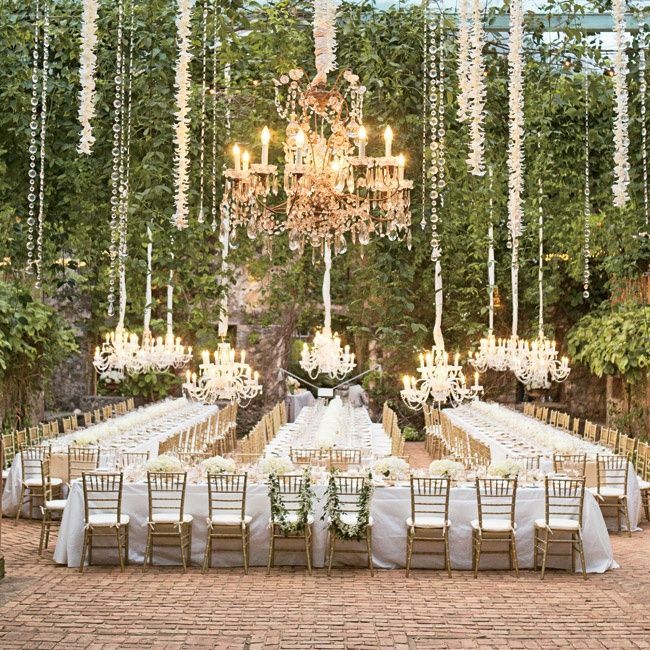 This particular trend can be a tricky one because while it is beautiful, the logistics that go behind pulling of such extravagant lighting can be complicated. 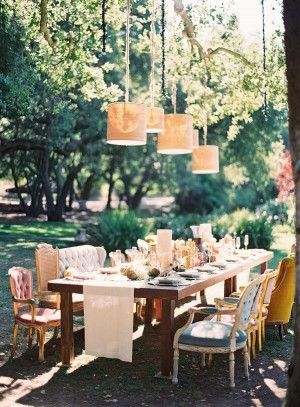 If you are going to use hanging lighting as part of your centerpieces, it would be best if you hired a professional lighting or draping company to handle the set up for you to ensure that it is properly assembled. 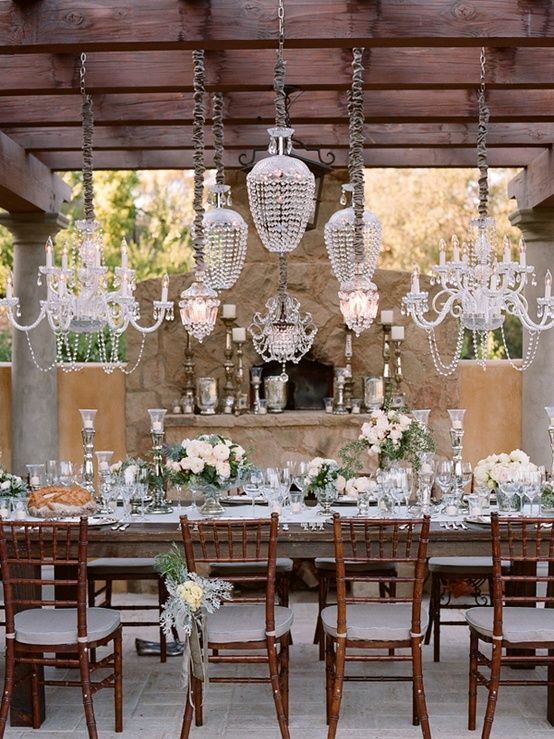 This small setting would work well inside for either a reception or a small bridal shower! 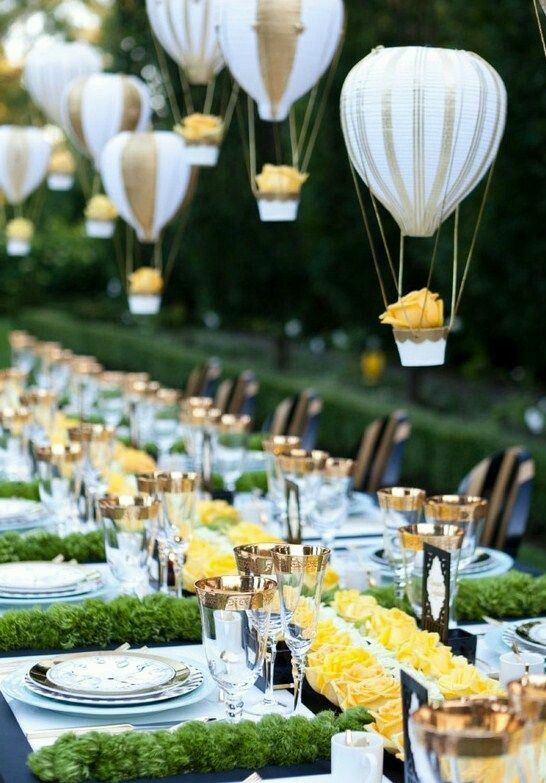 This is so whimsical yet elegant at the same time. Who says centerpieces have to always be on the table? I just think that these are beautiful! 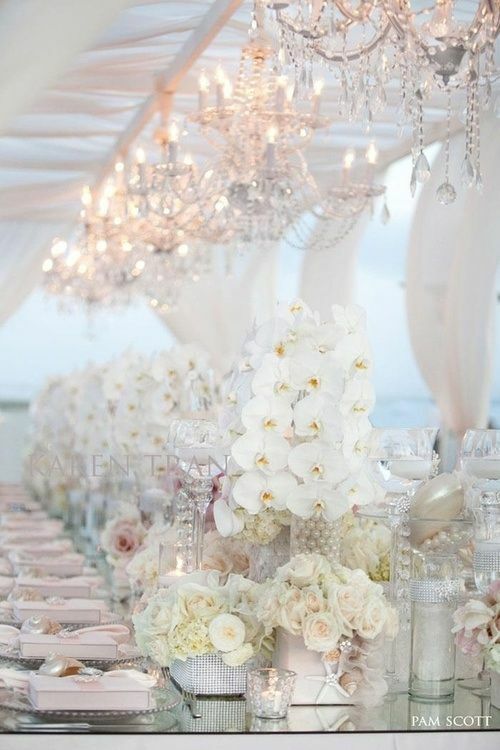 We hope to see some of these come to life this wedding season! Resident foodie here!! Let’s face it; besides the fact that your guests are super excited to celebrate your new marriage with you, they are also eager to see what yummy cuisine will be offered at your wedding! Take it from me that there is nothing worse than bad wedding food. I have to been to so many different weddings and given my line of work, I am always a bit skeptical coming in. This is what has also driven us here at Glendalough to provide the best wedding food you will ever eat. I don’t like to boast very often but we pride ourselves in the food that we serve and always receive rave reviews. We want to share with you some great ideas for wedding fare that you can offer…all of which we offer here at Glendalough as well:) Enjoy! Spoons of pesto cheese tortellini with tomatoes and Parmesan cheese!! Bite sized chicken and waffles….a favorite from our guests probably because we live in the south! 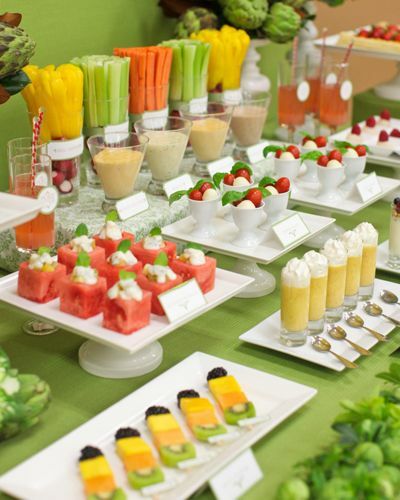 This very chic vegetable and fruit display give new life to the old played out versions! Our homemade tomato and mozzarella bruschetta is one of my favorites dressed with a rich balsamic glaze…yum! Guests go crazy over these mini gourmet cheeseburgers and grilled cheese sandwiches accompanied by a mini pint of beer! Although our buffets are the most popular choice for our couples, any of our entrees can be offered as a plated meal. We do an excellent plated meal service! Featured here is a wonderful filet of beef served with a red wine mushroom reduction on top of garlic mashed potatoes and garnished with scallions! One of our favorite offerings here at Glendalough is our “late night snacks”! These yummy little nibbles of goodness are served well after the cake cutting but before the reception is over! 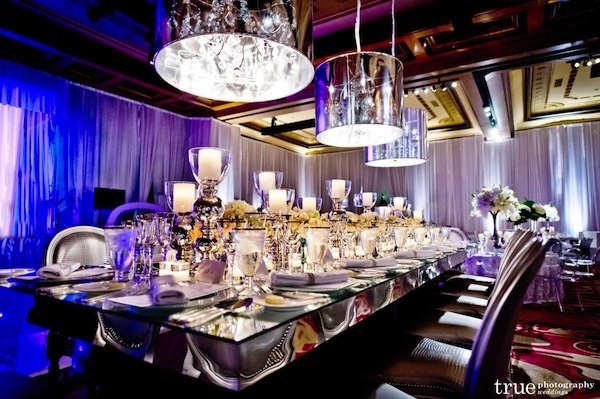 This leaves a lasting impression on you and your guests all night! Our chef Raymond is dedicated to preparing the freshest and finest cuisine for all of our wonderful brides and grooms, their families and their guests. We are proud to have him as our chef and will continue to step up the bar to deliver the most wonderful wedding food! Most men aren’t very excited to attend a wedding. Let’s face it, most of the day is all about the bride and what she wants. Sometimes as a bride you forget to include something special for the groom and the men in attendance. Here are a few simple things you can do to ensure the men in attendance at your wedding have a great time. One of the easiest ways to make any man the happiest is through his stomach. Offer food that cater to the men in your life. A bacon bar is a great way to do that! Pair it with chocolate and the men and women will love you for it! What guy doesn’t like chili? Serve and eat it in a Frito bag for a fun twist! Another great food station is a hot dog bar! 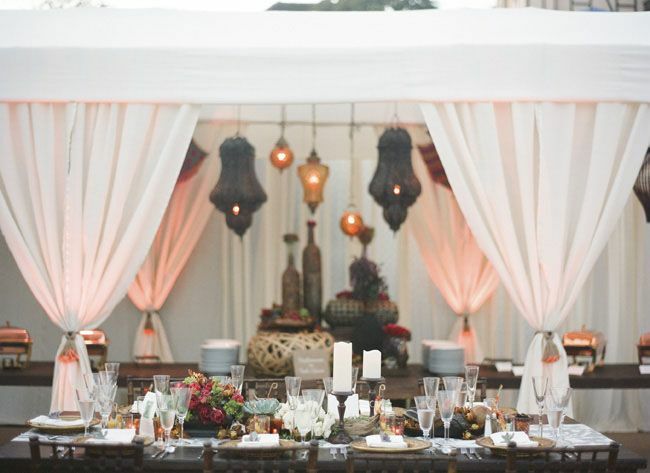 I love the idea of serving a few different popular styles like below! For a sweet treat the guys and ladies will love, have a doughnut bar! If you are having liquor at your wedding try a Whiskey or Scotch bar. And the cigar bar is still very popular for the guys (and some girls) to celebrate the day. Do you have any other ideas guys would enjoy at a wedding?